Next week on Wednesday 27th April it will be exactly 118 years since the opening of No. 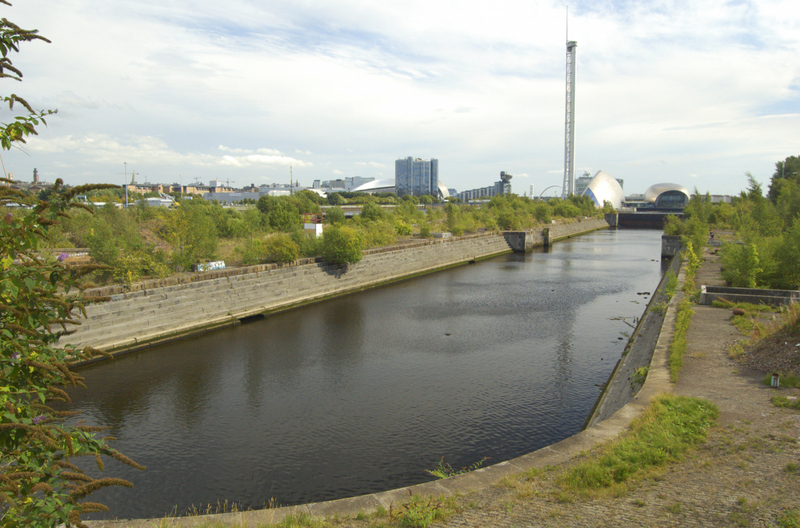 3 dry dock at Govan – the large dry dock nearest to Govan Rd. 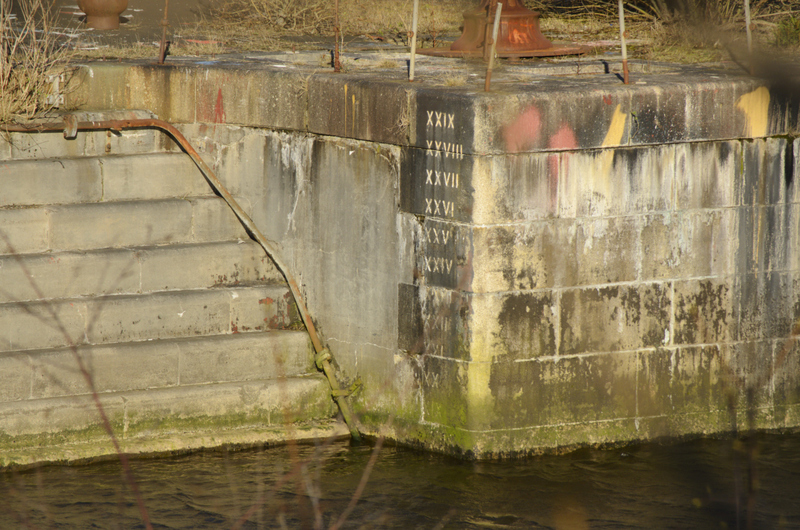 This was the last dry dock to be built at Govan and it pre-dates the former Burgh of Govan becoming part of the City of Glasgow. Commissioned by James Deas, Chief Engineer of the Clyde Navigation Trust, this was the deepest dry dock in Britain when it opened and it could accommodate the largest ships in the world at the time. The walls are constructed from hand carved granite blocks. Anecdotally it is claimed to have been the largest dry dock in Europe (and the world) when it was built. At 417 ft (127m) the tower at Glasgow Science Centre in the background is currently the tallest building in Scotland. If it were lying on its side it could fit end to end twice inside the dock and still leave room. Will it still be standing after 118 years? For further comparison; One Canada Square, the tallest skyscraper at Canary Wharf in London (and the tallest building in the UK until completion of the Shard), is 771ft (235m) tall. What should we do with it now? Fill it in to make a car park perhaps? You can see some fascinating old photos of the docks on the Scotland’s Places website. More images on the Virtual Mitchell website including this interesting one of the plaque to mark the opening of the dock. We don’t know what happened to this plaque or if it still exists (or exactly where the location in the photo is) but if anyone can help us find out please get in touch. Let’s make the 120th anniversary of this dock in 2018 one to really celebrate! If you would like to support the work of The Clyde Docks Preservation Initiative, by making a one off or regular donation, you can do so via PayPal. Please contact us if you prefer to pay by cheque or bank transfer.